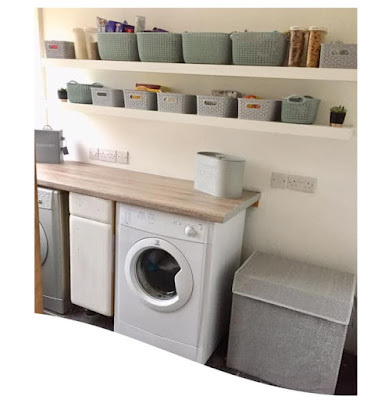 Mum of Five Staying Sane: After two years the extension is almost complete and now we are dreaming of a new kitchen makeover and a room change around. When will our dreams become reality, I'm thinking about 20 years time! After two years the extension is almost complete and now we are dreaming of a new kitchen makeover and a room change around. When will our dreams become reality, I'm thinking about 20 years time! Two years ago we started our extension work. This wasn't even in the pipeline just a year before and we were quite happy to have our four bedroom house. The garage and the old utility room had seen better days but they served a purpose and the rest of the house was perfectly fine. However by the beginning of 2013 we had plans drawn up, planning permission granted and a team of 'willing' helpers ready to dig out the foundations and lay down a block and beam floor before the builder got to work making our plans into reality. 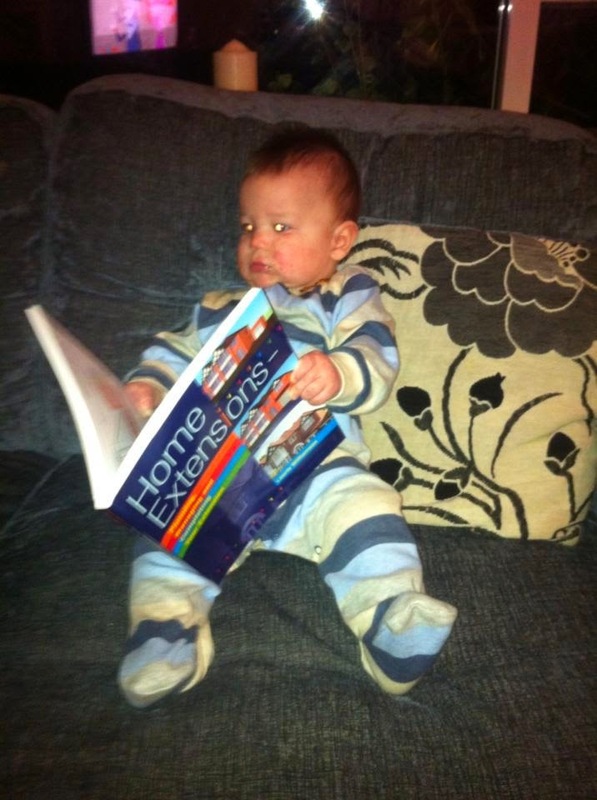 Thing 5 reading up on what we needed to do. Nobody was safe from helping out and getting stuck in! This was also the start of my blogging journey so my first ever posts were based around how the extension work was going. I am glad I did write about it as looking back now it's great to see how it all came together and how hard we worked (as well as the builder, roofer and plasterer) to get the job done and completed. Things got stressful between us but we made it through it all, just! Two years on from the very start we have just completed the downstairs bathroom. The new utility room has finally had tiles purchased for the floor (thank you Homebase and the reduced to £5 a pack bargains). Once the extension was finished up to the plastering we were left to finish off the decorating, fitting the bathroom etc..... and that's why it has taken so long to do. the Oh only has his weekends to get jobs done and sometimes you just want a weekend off too. Most of my blog posts from February 2013 contained extension updates; Extension Work starting and many pictures of the progress we made. My Dad and brother worked so hard to help us, driving the digger, digging trenches, helping with the 7 tonnes of concrete we ordered to pipe into the foundations and lifting concrete beam and block flooring into place once that was delivered. This saved us so much money on labour but doing it ourselves was a nightmare too. My Dad working hard digging the foundations, thanks Dad. So now it's almost over, what do we do? Ah yes. Decide we would like a new kitchen and to knock a wall down. At the moment this is all just a distant dream. Something that needs planning, time and money. Things we are lacking at the moment! We need to save up, cutting down on the takeaways might help with the new kitchen fund. At the moment the kitchen and dining room are separate but run alongside each other. We would like to take that wall out and make both rooms into one big open space where we can eat, cook and socialise all in one space as a family and with friends. The OH has his heart set on an island unit, he can have his wish eventually! To make our dreams a reality we need to cut back now to enjoy the things we want in the near future. Both the OH and I have pictures in our head of what we would like and how it will look. We don't want to get too involved at looking at the moment because by the time we get around to actually getting it done the kitchen we find now will most definitely not be available then! I might start getting rough ideas, flooring ideas, what appliances I would like, what colour units and worktops etc.... and then keep them filed until the time comes that we can make our dream kitchen a reality. Until then I'm watching the pennies, determined to make this one big new room into a reality sooner rather than later. For now, it's beans on toast for tea and money saving in order to get the kitchen before 2035! 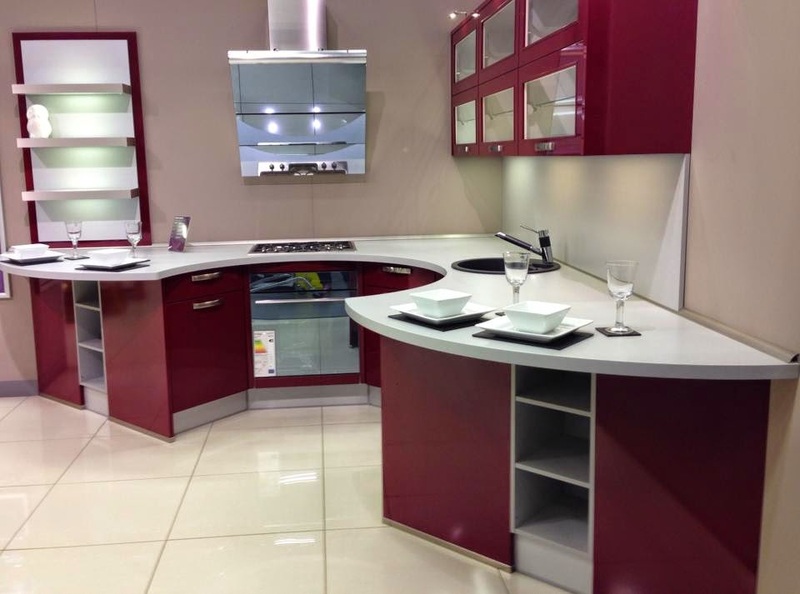 Back in November I walked past this kitchen in our local Homebase and I loved it. 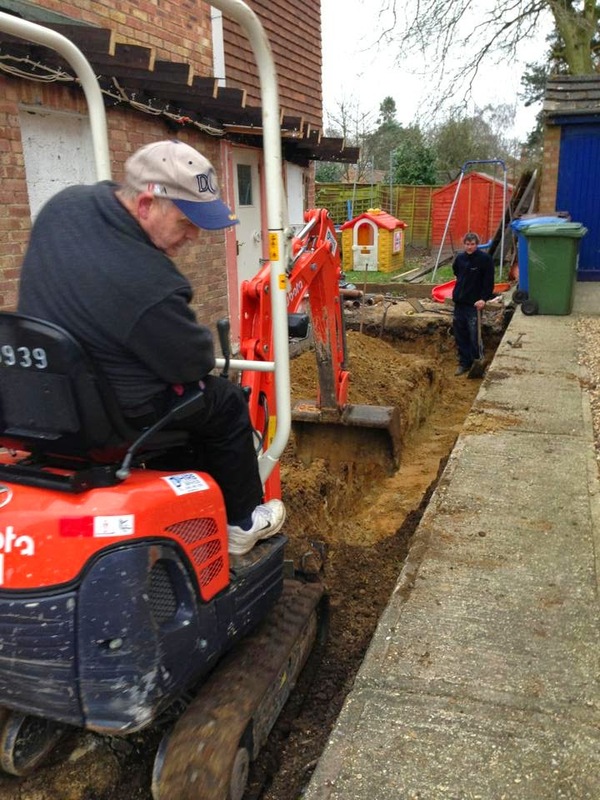 Do you have any big extension work planned this year? Any room renovations going ahead in 2015? How did/do you cope with the chaos caused by all the work going on?